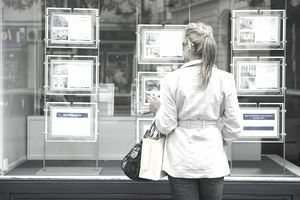 Whether you're a real estate agent looking to spice up your copy or a homeowner striking out on the market on your own, great ad copy can make a big difference in the overall outcome of your sale. How you advertise your house for sale and where you place the advertising can vary depending on where you live and who you are trying to appeal to. No matter how you're going about selling your home, your goal is to sell a home in the shortest period of time for the highest price possible. To accomplish that directive, home sellers need to effectively advertise the home for sale to the largest targeted pool of home buyers. Where do home buyers in your area look to find homes advertised for sale? Where do you find home buyers who are likely to buy your home? Unless you're trying to sell a home that appeals to a small audience and can afford to wait months for results, magazine ads are not likely to produce an immediate buyer. Lead time is the major drawback. The home ad you submit today might not make it to a doorstep for 30 to 60 days, sometimes longer. Magazine ad reps will claim your home ad will be in front of buyers for 30 days. In reality, the ad will be stuck in the back and ignored as the recipient flips through a couple articles before tossing the magazine into a recycling bin. Few folks re-read magazines. Magazine advertising tends to work well for upper-end luxury homes that can take a long time to sell. Local daily and weekly newspaper readership is declining, but in a few markets, it's still a desired place to advertise a home for sale. Even non-subscribers might buy a Sunday newspaper to look at the ads of homes for sale. Before placing a newspaper ad, get a copy of the paper. If you notice that nobody else is advertising, don't waste the money on a newspaper ad. A small local weekly paper might be a better place to advertise your home for sale. But your ad copy should sparkle and be designed to attract attention. Don't make a home selling mistake by abbreviating too many words or trying to cram everything into three lines to save money. You can buy specific mailing lists by identifying the characteristics of your potential home buyer and ordering lists that incorporate those particular traits. Look for direct mail list brokers on the Internet. Printing companies that offer direct mail services are also good sources for this information. For example, a buyer for your home might be a person of a certain income level, age group or marital status. If you're selling a cabin in the woods, you might want to appeal to nature enthusiasts or hunters by purchasing a mailing list of those who buy hunting or hiking books or shop at outdoor camping stores. Almost all homes searches are initiated online. A popular site is Realtor.com, probably because it's the easiest to remember, but Zillow and Trulia also carry listings, just not all of them. Many newspapers subscribe to local MLS feeds and download the latest home listings online. Through popular Internet sites such as vFlyer, Point2 and Postlets, you can create online ads instantly, for free. These Web sites will also post them for you on dozens of other frequently visited sites. Another popular item is digital ads that identify home buying behavior online and then follow those prospects from website to website. Ever notice how you might click on a pair of shoes for sale at Nordstrom? Then every website you go to, you see an ad for those shoes? Same principle. Post your home sale details on every social website you belong to. You can pay for Facebook ads, too. Upload photos to Instagram. Send out Tweets about open houses. Ask your agent to blog about your home. 4) Remember to include the sales price and your contact information. You'll be amazed at how many people forget to include a phone number or disclose the home pricing.